Fly business class with PAL’s nonstop flights to New York and get a worldclass meal! As the flag carrier debuts its historic new nonstop services between Manila and New York City from October 29, something exciting is abound. In partnership with Wolfgang’s Steakhouse, business class passengers on Philippine Airlines’ nonstop flights to New York will experience elegant steakhouse-style dining on board the 4-Star carrier’s Airbus A350 aircraft. “As a global carrier, we want our passengers to experience the best in-cabin dining experience on our flagship route to New York. To achieve this, we are partnering with top-rated establishments who can guarantee high-quality standards in food preparation, style and taste. We are proud to partner with Wolfgang’s Steakhouse, a true New York institution in high-class dining” stressed PAL Marketing Vice President, Ria Carrion Domingo. Among the roster of delightfully delicious meals on the menu for PAL’s prime New York route is Wolfgang’s specialty steak, featuring USDA Prime Black Angus Beef that is dry-aged in its own specially-designed aging room, under controlled temperature and humidity for an average of 28 days. This painstaking process enhances the tenderness of the meat and ensures a juicy, full-bodied flavor. PAL flyers will enjoy this sumptuous sky-high dining experience while crossing the North Polar regions in the exclusive Business Class cabin of PAL’s advanced A350 aircraft, which features 30 full-flat seats in a roomy 1-2-1 configuration with direct access to the aisle for all seats, and a complete range of personal entertainment options in the form of 300 hours of movies, TV and music. Seat massage features, customized cabin mood lighting, more comfortable cabin air pressure and humidity levels and the overall spacious feel of the A350 cabin help passengers relax for the long nonstop flights across multiple time zones. Wolfgang's Newport Mall. Photo from Wolgang's Steakhouse PH Facebook. 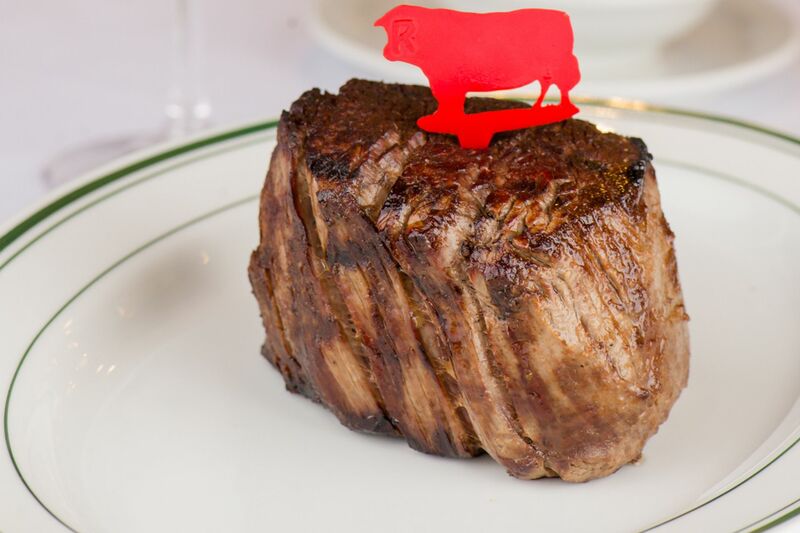 Wolfgang's Steakhouse's flagship restaurant is located on Park Avenue in Manhattan, and is frequently ranked among the top ten steakhouses in the Big Apple. Wolfgang’s now serves Filipino diners at its two Philippine branches in Newport Mall and the Podium in Ortigas, and soon to open in Bonifacio Global City.